* Microwave and cellular tower ground design to less than one ohm, insuring against major damage and down time from lightning strike GPR. 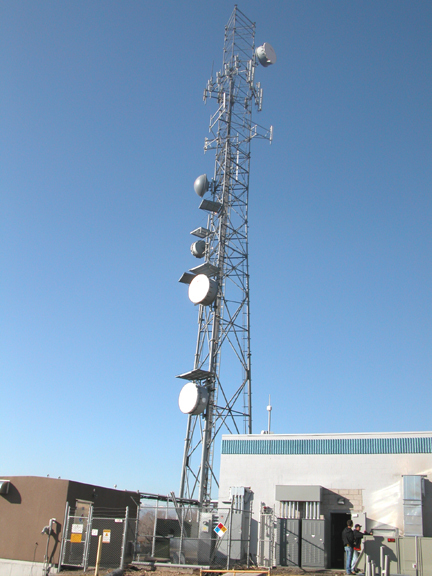 It is critical that cell sites such as the one shown below have well engineered isolation protection and grounding as was assured by expert quality control by Ernest Duckworth, P.E. The site pictured above has state-of-the-art protection and grounding with reliable communication assured.